The Ataribox is a highly customizable console, which runs on Linux and is powered by a custom AMD Radeon chip. The console is all set for a crowdfunding campaign on Indiegogo and is likely to launch sometime around spring 2018 for no less than US$250. 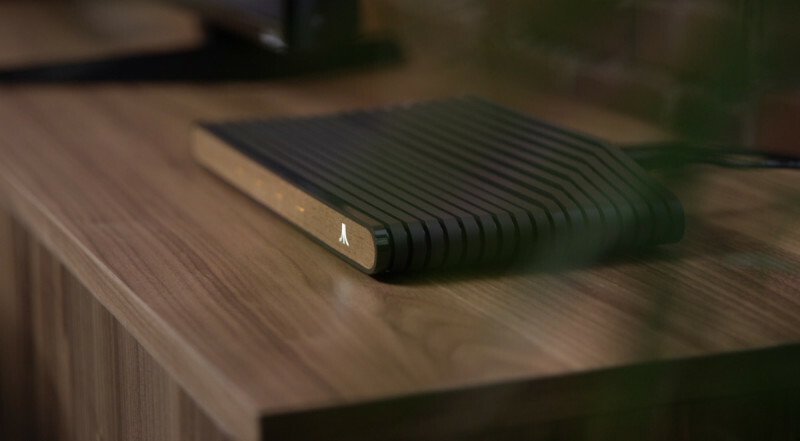 Atari, the once formidable gaming brand and creators of iconic gaming products of the likes of the Atari 2600 and many game classics such as Asteroids, Missile Command etc., is all set to make a comeback with the Ataribox. The Ataribox is scheduled to debut sometime during spring 2018 for an estimated price between US$250-US$300 and will run on Linux software powered by a custom AMD Radeon chip. The Ataribox is tailor-made for TV entertainment. Apart from gaming, it is fully capable of streaming, running apps, web browsing, and the works just like any modern console. Mac Conuladh (aka Feargal Mac), creator and general manager for Ataribox, said that the Ataribox will have the power of today's mid-range PCs, although AAA titles are still out of reach. Since the Ataribox runs Linux, Steam gaming is definitely on the cards. The Ataribox will incorporate fan feedback and will most likely be reminiscent of the Atari-era gone by. Linux being Linux, customers have full freedom to customize the Ataribox to their liking, which could lead to the possibility of a strong homebrew community. Atari is partnering with Indiegogo for crowdfunding the campaign. From the looks of it, it is evident that Atari is focussing on both form and functionality for the Ataribox. The console's front will sport a classic wood grain finish (a black and red option is also in the works). Modern connectivity options such as HDMI out, 4 USB ports, Ethernet, and SD card support are present. We are still not sure whether Atari would bundle its iconic joystick or use a gamepad. Details about the custom AMD chip are also not available but we will probably know more once the Indiegogo campaign starts off later this fall. Atari plans to offer fans early access to the console including special editions and a host of popular retro games Atari fans instantly relate to. 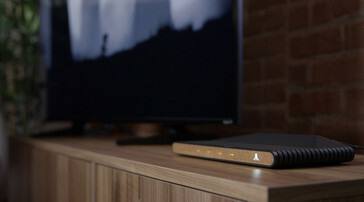 Overall, Atari plans to blend the modern with the old and if the Ataribox becomes a hit, it could be the answer to Atari's comeback prayers.